Why communicate with your people? Are kept up to date with key information about the company, team, key projects, training, etc. To achieve the above goals we have to keep our employees/colleagues informed and engaged through regular and effective communications, which are relevant and timely. Engaged Employees – If people are communicated to regularly and in an effective manner they are much more engaged with the company/team and have a more positive attitude towards their work and their customer. Ensures Consistency – If everyone understands what the company/team is trying to achieve and their role within it, you will get a much more consistent approach and less tendency for people to come up with their interpretation of what they think something means. Promotes 2 Way Feedback – Regular and effective communications invite people to engage in discussion (communication is a dialogue after all!) and provide 2 way feedback between management and employees, departments and colleagues. This in turn promotes a culture of sharing ideas and knowledge, but also making these happen. Ensure Compliance with Regulatory Bodies – Effective communications and training information ensures that our employees are compliant with all regulatory requirements and aware of all the company guidelines/policies and/or where to find them. Ensure Common Understanding of Strategy and Goals – Employees understand how their work fits into the bigger picture and what the team/company as a whole is trying to achieve. Promotes a Positive Attitude Towards Change – Employees that are communicated to effectively around change respond much more positively to it. Communication can also identify champions within the company/team willing to help embed change. Engaged employees are highly motivated, providing a valuable, productive and cost-effective service. They make an extra effort or ‘go the extra mile’, making a measurable difference to our results and the value perceived by our customers. Failure to communicate will lead to a negative shift in any or all of the above benefits. This could have a serious detrimental effect not only on your company’s operational efficiency, but also customer satisfaction and ultimately your profits and market share. In order to achieve engagement in our workforce we have to keep employees informed and engaged through regular and effective communications, which are relevant and timely. How should you communicate with your people? If you can get each of these points right, your communication has a better chance of being successful, with employees engaging with your messages and undertaking any actions you require of them. 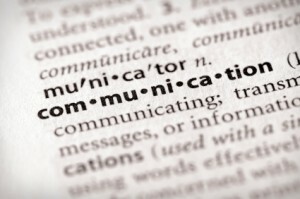 What should your communication take into consideration? If you can get each of these points right you increase the likelihood that your communication will be successful. Engagement is both emotional and rational: people act according to their short or medium-term interests and how they feel. Engagement is personal and voluntary; it can’t be guaranteed and has to be worked for. People feel commitment to their job or profession, their team, their manager and the company in differing degrees; some people connect more to their job and ‘their customers’, others more to colleagues and so on. The manager influences all of these factors. 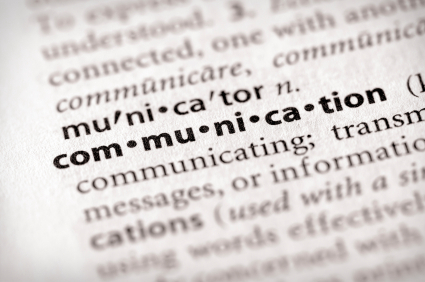 How do you know how well you communicated? Measuring the effectiveness of your communication is just as important as delivering it. Measurement is key to understanding the success of your communications and an opportunity to invite feedback – Too often we just tick the box on a communication after it is delivered. You can measure communications in many ways using informal and formal channels. A good communicator makes use of the measurement systems available within your organisation, but also uses the most powerful form of measurement – feedback. By inviting feedback you can not only measure the success of the communication, but also enter into valuable two-way dialogue, which will help to hone your future communications and engage the audience with your message and the company. This entry was posted in Comms Theory, My Work and tagged comms, comms theory, communication, communication theory, communications, communications theory, employee comms, employee comms theory, employee communication theory, employee communications, employee communications theory, importance of good employee communications, internal comms, internal communications, ruth weal, wealie. Bookmark the permalink.